Installation and fabrication of all types of fencing. We are experts in the field of fencing. 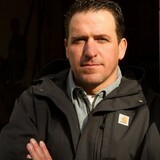 Although we are capable, we do not do decks, landscaping, roofing or sididng. We ONLY do fencing! This has allowed us to master the art of fence construction. We are a Blue Collar Worker, so out for the little guy! Whether you need to secure your yard or just add some decorative flair to your landscape, fences are an integral part of a home’s exterior and curb appeal. Given their security and aesthetic importance, they need to be designed, installed and repaired correctly — luckily, fence contractors in Highlands Ranch, CO can help. From devising custom fence designs to general fence repair and maintenance, these pros will have your fencing looking fancy in no time! Your Highlands Ranch, CO fence installation and repair professional will work with you to create your ideal fence. Fence installation or replacement. If you are in the market for a brand new fence, a contractor’s services will include walking you through various fence styles and materials, determining a suitable height, ensuring that all fence designs and plans are compliant with Colorado building codes, and that the fencing meets both your stylistic and security needs as the homeowner. Fences and gates must complement the grade of your property as well as the type of soil you have, so the contractor should always plan around these considerations. Additionally, if you don’t know exactly where your property lines are, he or she can commission a survey for you. 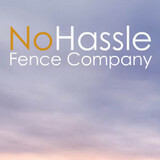 Find a fence contractor in Highlands Ranch, CO on Houzz. 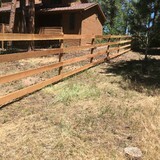 Narrow your search in the Professionals section of the website to Highlands Ranch, CO fence contractors. You can also look through Highlands Ranch, CO photos to find examples of fencing and gates that you like, then contact the professional who worked on them.